Another volcano in Iceland may erupt soon. Since the start of the Eyjafjallajökull eruption, which caused cancellations of thousands of flights in Europe because of a giant ash cloud, there has been much speculation about neighboring Katla. An initial research paper by the University College of London Institute for Risk and Disaster Reduction said: "Analysis of the seismic energy released around Katla over the last decade or so is interpreted as providing evidence of a rising ... intrusive magma body on the western flank of the volcano." "Earlier seismic energy release at Katla is associated with the inflation of the volcano, which indicates it is close to failure, although this does not appear to be linked to seismicity around Eyjafjallajökull," it added. "We conclude that given the high frequency of Katla activity, an eruption in the short term is a strong possibility," the report said. "It is likely to be preceded by new earthquake activity. Presently there is no unusual seismicity under Katla." 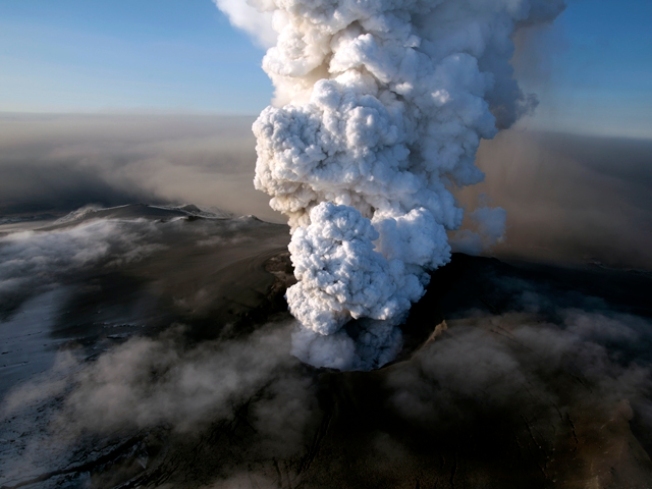 Icelandic President Ólafur Grímsson has warned governments around Europe that a significant eruption at the volcano is close. "We [Iceland] have prepared ... it is high time for European governments and airline authorities all over Europe and the world to start planning for the eventual Katla eruption," he said. The UCL scientists, engineers and statisticians also criticized the response to the earlier eruption. "The impact of the eruption on regional airspace could have been predicted and better prepared for as the growing problem of aircraft-ash cloud encounters has been recognized for decades," the report added. "Similarly, the potential for ash clouds, specifically from Icelandic volcanoes, to interfere with air traffic in UK, European and North Atlantic air-space was appreciated by the aviation industry well before the start of the Eyjafjallajökull eruption," it said. "The response to the ash cloud’s arrival in UK and adjacent airspace was entirely reactive and therefore less effective than it should have been."